This blog has kept a close eye on the Environmental Protection Agency’s aggressive expansion of its own authority (see here and here). The latest such power grab is taking place in the western United States, where the EPA is hybridizing disparate provisions of the Clean Air Act in order to engineer greater regulatory authority for itself. 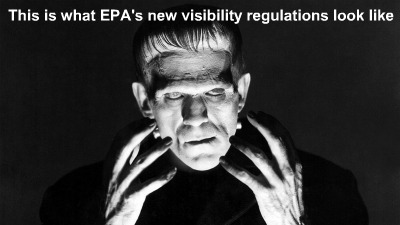 These Franken-regs are being used to trump the states’ rightful authority on visibility-improvement policy and impose billions of dollars of emissions controls for benefits that are literally invisible. In 1977 and 1990, Congress passed amendments to the Clean Air Act providing that states work together to improve visibility at federal National Parks and Wilderness Areas. Together, these amendments are known as the Regional Haze provision. Notably, this provision accords states a uniquely high degree of control relative to the EPA. According to the EPA’s 2005 Regional Haze implementation guidelines, “[T]he [Clean Air] Act and legislative history indicate that Congress evinced a special concern with insuring that States would be the decision-makers” on visibility-improvement policy making. The courts, too, have interpreted the Clean Air Act such that states have primacy on Regional Haze decision making. In the seminal case American Corn Growers v. EPA (2001), which set boundaries between the states and the EPA on Regional Haze policy, the D.C. Circuit Court remanded the EPA’s 1999 Regional Haze implementation guidelines for encroaching on states’ authority. The House Natural Resources Committee marked up three bills on Wednesday that would require the Obama Administration to stop its obstructive tactics and start producing more oil and natural gas from federal Outer Continental Shelf areas. Committee Democrats dragged out the mark-up for nine hours by offering and insisting on recorded votes on a series of amendments to weaken or gut the three bills—H. R. 1229, 1230, and 1231. None of their amendments was adopted. It is expected that the House will pass all three bills in May. Committee Chairman Doc Hastings (R-Wash.) plans to introduce additional bills in the next few months to increase domestic oil and gas production on federal lands in Alaska and the Rocky Mountains as part of House Republicans’ American Energy Initiative. Environment and Energy News reported this week that House Speaker John Boehner (R-Ohio) did not rule out attaching something like the Energy Tax Prevention Act (H. R. 910) to the bill to raise the federal debt ceiling. H. R. 910 would block the Environmental Protection Agency from using the Clean Air Act to regulate greenhouse gas emissions. It passed the House last week on a 255 to 172 vote, but failed as an amendment in the Senate on a 50 to 50 vote. 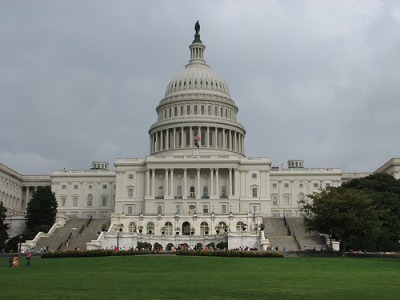 The House has scheduled H. R. 910, the Energy Tax Prevention Act, for floor debate and passage on Wednesday, 6th April. This could still slip given the wrangling that is going on between the House and the Senate over the Continuing Resolution to fund the federal government for the rest of FY 2011 after the current CR runs out on 8th April. Energy and Commerce Committee Chairman Fred Upton’s (R-Mich.) bill will pass easily with over 250 votes. That most likely includes all 241 Republicans and 12 to 20 Democrats. The Rules Committee has not yet met to decide which amendments will be in order. Conservative Republicans in the Republican Study Committee are considering offering several amendments to strengthen the bill. H. R. 910 as marked up by the Energy and Commerce Committee prohibits the EPA from using the Clean Air Act to regulate greenhouse gas emissions, but does not prohibit the Administration from using other existing statutes to regulate emissions. Nor does it ban common law nuisance lawsuits against emitters of greenhouse gases, such as power plants, manufacturers, railroads, airlines, and cement producers. Thus one obvious amendment would be to ban common law nuisance suits. The Supreme Court is currently considering such a case. It may find that such suits may proceed, but even if it does not it could do so for the wrong reason—namely, that the EPA is regulating emissions and has thereby pre-empted common law. Democrats led by Rep. Henry Waxman (D-Beverly Hills) will undoubtedly offer some of the same silly, irrelevant grandstanding amendments that they offered in committee. Waxman was reported this week as expressing confidence that the bill has no chance in the Senate. That was certainly true of his Waxman-Markey cap-and-trade bill in the last Congress. One significant difference is that Waxman-Markey barely passed the House, 219-212. The Upton-Whitfield bill will pass by a much wider margin. Moreover, cap-and-trade was swimming against strong public opposition, while blocking EPA’s attempt to achieve cap-and-trade through the regulatory backdoor is swimming with public opinion. That’s why, for example, Senator Claire McCaskill (D-Mo.) is still undecided about voting for the McConnell amendment (which is identical to the Senate version of H. R. 910) in the Senate. She doesn’t want to vote for it, but she’d like to be re-elected in 2012. Will the Senate Ever Vote on the McConnell Amendment? The Senate spent another week without voting on Senator Mitch McConnell’s (R-Ky.) amendment to block EPA from using the Clean Air Act to regulate greenhouse gas emissions or either of the two Democratic alternatives. It is quite possible that there will be votes next week. It is also quite possible that Majority Leader Harry Reid (D-Nev.) will work out a deal with McConnell to dispose of many of the amendments to the underlying bill without votes and proceed to passage of the Small Business Innovation Research Re-Authorization Act. Or Reid may keep stalling. McConnell originally introduced his amendment (#183 if you’re keeping track) to S. 493 on 15th March. It is identical to Senator James M. Inhofe’s (R-Okla.) Energy Tax Prevention Act, S. 482, which is identical to the House bill of the same name, H. R. 910. Senator Jay Rockefeller (D-WV) introduced an amendment to try to provide cover for fellow Democrats and thereby siphon support from McConnell’s amendment. Rockefeller would delay EPA regulations for two years. The 112th Congress was sworn in on Wednesday, and Rep. John Boehner (R-Ohio) was elected Speaker of the House. Nineteen Democrats voted against Rep. Nancy Pelosi (D-San Francisco), which is extraordinary when you consider that Pelosi as Minority Leader still controls committee assignments for her party’s members. The House began Thursday by reading the Constitution (my thoughts on that may be found here), which surprised me by causing a lot of foaming at the mouth on the left. Later that morning, Senator Barbara Boxer (D-Marin County), who remains Chairman of the Environment and Public Works Committee, held a press conference during which she vowed to block any attempt to prohibit or delay the EPA from regulating greenhouse gas emissions using the Clean Air Act. Boxer may be very busy. The hottest item of the first week of the new Congress was introducing a bill to block EPA. Rep. Marsha Blackburn (R-Tenn.) along with 45 co-sponsors re-introduced her bill (H. R. 97) to remove greenhouse gas emissions from the list of things that can be regulated under the Clean Air Act. Rep. Shelley Moore Capito (R-WV) introduced a bill to delay EPA from regulating greenhouse gas emissions for two years. This is similar to the bill that Senator Jay Rockefeller (D-WV) introduced last year and announced this week that he would re-introduce in the 112th Congress. And Rep. Ted Poe (R-Tex.) introduced a bill to prohibit any funding to be spent on implementing or enforcing a cap-and-trade program to reduce greenhouse gas emissions. The first week of Congress’s lame duck session has been a big success. They haven’t done anything. Senate Majority Leader Harry Reid (D-Nev.) pulled a scheduled vote to invoke cloture and proceed to S. 3815, the “Promoting Natural Gas and Electric Vehicles Act of 2010,” because he did not have the 60 votes required. S. 3815 is known around town as the Boone Pickens Payoff Bill. Pickens told Bloomberg News this week that he thought there was a better than 50-50 chance that the bill would be enacted, so we can’t celebrate yet. The bill would provide $4.5 billion in subsidies for natural gas vehicles and $3.5 billion in subsidies for electric vehicles plus $2 billion in loans to manufacturers of natural gas vehicles. The subsidies to purchasers would range from $8,000 to $64,000. The larger payments would be for purchasers of heavy trucks that run on natural gas. Congress will be in recess next week for Thanksgiving and will return on November 29th. There are enough big must-do items that it still seems unlikely to me that the Senate will be able to take up Pickens’s bill or the Renewable Electricity Standard (or RES) bill, S. 3813. The RES bill is sponsored by Senator Jeff Bingaman (D-NM), the Chairman of the Energy and Natural Resources Committee, and retiring Senator Sam Brownback (R-Ks. 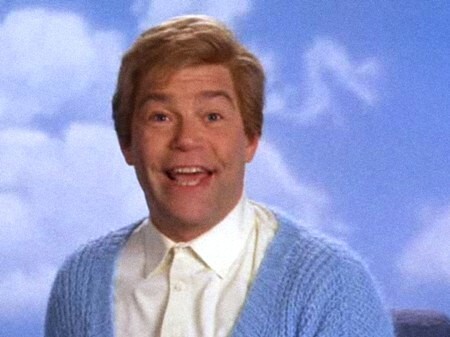 ), who has just been elected Governor of Kansas. It now has 31 co-sponsors, including three other Republicans. The RES bill would raise electric rates in those States that haven’t yet followed the failed California model of raising rates to impoverish consumers and drive out energy-intensive industries. My guess is that it will be blocked in the Senate by Republican and Democratic Senators from those States in the Mideast and Southeast that still depend on low-cost coal and therefore still have manufacturing. On the other hand, there is an incentive for Senators from States that have already enacted their own renewable requirements to support a national standard in order to lower the competitiveness of the States that have not adopted renewable requirements. “Greens Desperate to Avoid Blame” was the headline on Darren Samuelsohn and Robin Bravender’s story in Politico on Wednesday. Environmental pressure groups moved quickly to spin the election results as having nothing to do with them. In particular, they claimed that passage in the House of the Waxman-Markey cap-and-trade bill did not cause Democrats to lose. On the contrary, the reality is that Waxman-Markey did contribute to the defeat of a number of Democrats, as I argue in Politico’s Energy Arena. More significant is the fact that the new Republican majority in the House is largely skeptical of the claim that global warming is a potential crisis and is close to unanimously opposed to cap-and-trade and other energy-rationing measures. Not only is cap-and-trade dead, but there is a good chance that the House next year will move legislation to block or delay the EPA from using the Clean Air Act to regulate greenhouse gas emissions. The question is, can such a measure pass the Democratic-controlled Senate? There is certainly a majority in the Senate for blocking EPA, but sixty votes will be needed. My guess is that there will be more than sixty votes. As EPA regulations start to bite next year, Senators will start to hear complaints from their constituents. And a number of Democratic Senators are up for re-election in 2012 and will want to avoid the fate of so many of their colleagues this year. Humor me for a moment and imagine that I am a superhero who is part of a Super Friends team at the Competitive Enterprise Institute. We have sworn to use our superpowers only to combat a particular form of evil: rent-seeking. Naturally, we’d need a nemesis. This caricature of evil would represent everything we stand against; it would be the ultimate political panhandler. Without a doubt, our nemesis would be King Corn. Fantasies aside, the corn lobby, a.k.a King Corn, is unbeatable inside the beltway. In the 1980s, it secured federal giveaways to NOT grow corn. The lobby has since moved on to the ultimate boondoggle: corn fuels. By playing up jingoistic fears of “energy dependence,” King Corn has convinced the Congress that ethanol, a motor fuel distilled from corn, is a national security imperative, despite the fact that it increases gas prices, it’s awful for the environment, it contributes to asthma, and it makes food costlier. So, in 2007, the Congress passed a Soviet-style ethanol production quota that forces Americans to use corn-fuel in their gas. Thanks to this mandate, American farmers devoted a third of this year’s corn crop to ethanol. Thus corn, soy, and cotton (the three crops grown on corn-hospitable soil in the U.S.) have become recession-resistant. You’d think that a production quota, along with generous subsidies (to the tune of 51 cents a gallon), would be enough, but there can never be “enough” for King Corn. Now it has its eyes on an even higher production quota. There was, however, an intermediate step to this higher goal-the EPA had capped the percentage of ethanol that could be included in regular gasoline at 10%, due to concerns about engine harm beyond that point. For years, the corn lobby has been trying to lift that cap to 15%. Yesterday, the EPA relented. Raising the ethanol cap was opposed by the oil industry, the environmental lobby, and the public health lobby. These are K-street titans, and they were vanquished by King Corn. Behold, the power of King Corn.